There is no Grammatical rules in this page because this page has been designed only for proper noun examples practice in sentence. ★ Rana is my Good friend. ★ You look like my brother Sajib. ★ Mosarrof Karim is a very Good actor. ★ I advised Deepika not to marry. ★ She Prevented Neimer on playing Football. ★ Sajol Fuad is an honest person. ★ Bangladesh is my homeland. ★ My home district is Jashore. ★ Ramna Batmul is a nice place. ★ They were going to chittagong. ★ India is our neighbour Country. ★ Economics is a critical subject. ★ I have an Econo Pen. ★ RFL is a very popular company. ★ Argentina and Brazil are very strong team. ★ Rolex is an expensive company. ★ I have a samsung Computer. Bangladesh, Tanjim Tisha, Sesher Kobita, Bangabondhu Satellite. 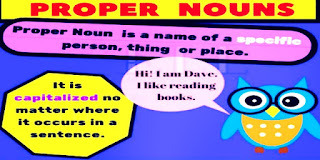 So, What is Proper noun? What is the meaning and definition of Proper noun? উপরের উদাহরণে, Bangladesh শব্দটি দ্বারা সরাসরি একটি দেশকে বোঝানো হয়েছে। কিন্তু যদি বলা হয় Country তাহলে সমগ্র দেশকে বোঝানো হয়েছে। সেখানে, এটি common noun হয়ে যাবে। সুতরাং Bangladesh একটি proper noun. --> I love my Country Bangladesh. এমনই যে সকল word দ্বারা directly কোন কিছুর নাম বোঝায় তখন তাকে বলা হয় proper noun. 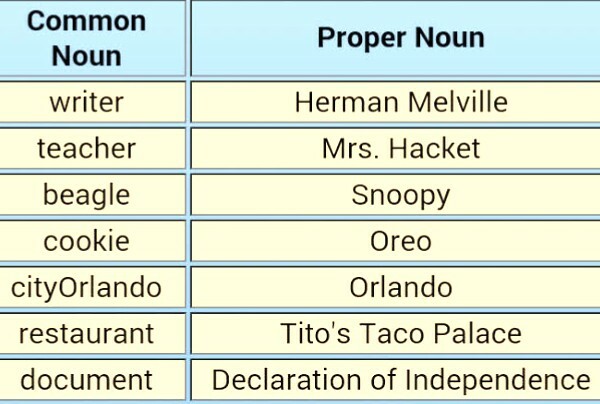 So, the word which denotes a name of any indivisual directly is called a proper noun. This proper noun can be of Person, place, subject name. This proper noun definition and meaning have been taken from a strong source. And it is our responsibilty to show easy methods in Free English course Online. This post has been created for especially Bangladeshi students. If you face any trouble comment below. 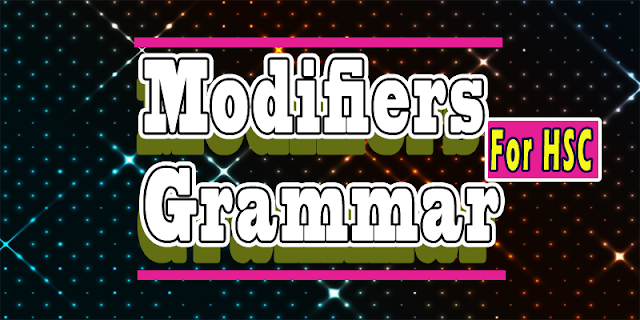 Modifier English Grammar for HSC. অনেক সময় আমাদেরকে কোন modifier ব্যবহার করতে হবে তা ব্রাকেটে স্পষ্ট করে উল্লেখ থাকে না। সে ক্ষেত্র আমরা আমাদের সুবিধা মত অর্থাৎ যে modifier টা মিলবে সেটিই use করব। সেটা হতে পারে একটি adjective, একটি intendifier, etc. Pre-Modifier: যে modifier কোন word বা noun এর পূর্বে বসে সেই word সম্পর্কে অতিরিক্ত তথ্য প্রদান করে তাকে pre-modifier বলে। যেমনঃ He is a __________ (pre modify the noun with an adjective) boy. Post modifier: যে modifier কোন word বা noun এর পরে বসে সেই word বা noun কে বিশেষায়িত করে তাকেই বলা হয় post modifier. যেমনঃ I saw a blind man _________ (use a present participle to post modify the noun). #1: Determiner: Determiner মানে হল নির্দেশক। সুতরাং, যখন কোন noun কে নির্দেশ করতে বলা হয় ঠিক তখনই Determiner "the" ব্যবহৃত হয়। "The" ছাড়াও আরও কয়েকটি determiner আছে তবে সবচেয়ে বহুল ব্যবহৃত determiner হল " the". Example: Jamuna is _________ (pre modify the adjective with determiner) longest river in our country. #2: Pre-determiner: পূর্ব নির্দেশককে ইংরেজীতে বলা হয় pre determiner. এই modifier টি সাধারণত determiner এর আগে বসে। বহুল ব্যবহৃত pre-determiner টি হল "all". Example: _______ (use a pre determiner) the students are present today. Example: I saw a _______ (use an adjestive to pre modify the noun) car. উক্ত বাক্যটির বাংলা করার সময় আমরা এভাবে পড়ব "আমি একটি ড্যাশ গাড়ি দেখলাম। কেমন গাড়ি দেখলাম?" তাহলে উত্তরটি খুবই দ্রুত মাথায় আসবে। সুতরাং, adjective দেখলেই আমরা "কেমন" শব্দটি মাথায় আনার চেষ্টা করব। ঠিক আছে, Smart learner? Example: Masrafee is a ________ (pre modify the adjective with an intensifier) good player. #6: Demonstrative Pronoun: এই modifier টিতেও কোন Grammar লাগে না। তোমাকে Just "this, that, these, those" এই চারটি word মনে রাখতে হবে। যখন দেখবা ব্রাকেটের ভিতর Demonstrative লেখা আছে তখন subject এর singular, plural দেখে this, that বসাতে হবে। এই, এইটা বোঝালে this. ঐ, ঐটা বোঝালে that. এইগুলো বোঝালে these, ঐগুলো বোঝালে those. Example: ________ (use demonstrative to pre modify the noun) mobile works well. Plural example: ________ mobiles work well. Example: They bought _______ (pre-modify the noun with article) football from the market. Example: There are _______ (use quantifier) flowers in my garden. যেমনঃ They went market _______ (use an infinitive) shirts. Example: We saw a ________ (use present participle) robot. Example: There was a _______(past participle) bus on the road. Example: It was a ________ (use nominal) news. #13: Noun Adjective: কোন noun এর পূর্বে ডখন অন্য আরেকটি noun ব্যবহার করা হয় তখন পূর্বে ব্যবহৃত noun টি আর noun থাকে না, সেটি হয়ে যায় একটি adjective. তাই এটাকে বলা হয় noun adjective. Example: Rana is a ________ (use a noun adjective to pre-modify the noun) student. Example: Kazi Nazrul Islam, ___________, (use apositive to post modify the noun) wrote many poems. Example: I saw a car __________ (present participle) in water. অনেক সময় present participle phrase লিখতে বলা হয়। তখন v+ing এবং কিছু word লিখতে হবে। উক্ত উদাহরনে খেয়াল কর " in water" এই দুটো word হল phrase. Example: I found my chair ________ (past participle) in the room. Example: The boys went market __________ (post modify the noun with infinitive phrase). Ans: to buy a football. Example: There are many problems _________ (prepositional phrase). Example: They finished the work ________ (adverb). To improve Vocabulary in English watching English movie and English News Bulletin are the best way. It might sound crazy. But it is a great way to expand English vocabulary words as well. Watching movie is nowadays favorite to all walks of life. So, you will get interested when you will watch a movie. In this respect, I have to say that English movies are much more interesting and more entertaining than other movies. However, to gain some vocabulary words in the English Language, you must watch some movies with subtitles. So, it will be also okay to watch other movies if that have subtitles below of the screen. At first, you may not understand all the talking the actor and actress are performing in a movie if you are not a native. In that case, you are required not to stop watching an English movie. There are so many kinds of English movies online. Nowadays, almost 90% of people are using a smartphone. And they use it for many purposes. If the users want to expand English Vocabulary, they must apply this “watching movie” method. By applying this method you may not get any English Course degree. But you can certainly improve your Vocabulary. So, I have a request for you to stick with our Free English Course Online. Its answer is very easy and simple. You need to choose some movies which have more speeches than action. To do that you can select some law film because it has speeches more than action. You just need the talking. In youTube there are lots of English movies which have subtitles. So, select the movies having more speeches. The Indian people can watch ZTV channel drama. This drama shows the sub-titles while the actor and actress speak in the film. Moreover, we need to select the movies which have more speech and subtitles as well. At first, I need to say that you have to listen to the speeches more carefully than the acting. 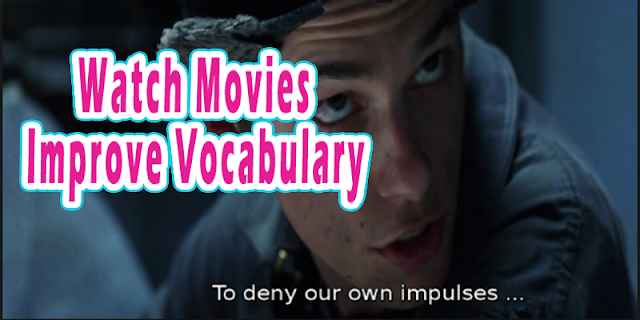 It is because you are watching the movies to expand vocabulary in English only. While watching the movies you don’t need to watch the action again and again. You just need to listen to the speeches and look at the subtitles. In the beginning, you may not understand some words. If you are using YouTube, it will be very easy for you to pause the video. Just pause the video and note down the word in your notebook. Play again the video and note down the complex word by pausing a specific minute. Now, make a list of the noted words and bring the meaning in your native language. Nowadays, bringing the meaning of a word is not that very difficult. If you are using a smartphone, it will be very easy for you. These dictionaries are made by the students who have some higher degree in English. So, you can use it to bring out the meaning. However, now your question may be about the meaning of the words. In this stage, you are required to use those words to make a full sentence. Don’t panic at all. Make a sentence only using a subject, a verb, and an object. After doing all of these methods, I think you will be able to expand your vocabulary. Truly saying that to expand English Vocabulary this method works very effectively. You should keep in mind that watching movie is very favorite to all persons. And if anybody makes this hobby for their benefit, they will sure to improve their English vocabulary as well. This is a totally free English course Online. You don't have to give a single money to me for reading on our website. Because we give free online English lecture. In our website you will get smart l; lecture as well as the best guide to improving your English skill. You just need to invest your time to gain that aim. We don't give you any English degree or certificate. But you will be able to improve your existing English degree by reading from our website. If you have any idea about the post, please make a comment below. I will love to read your comment. If you have any critical problems in Eglish Grammar, you can contact with me in social media or direct phone call. Thank you. To expand English Vocabulary Words is not that tough stuff for you if you follow some certain criteria. Everybody wants to improve English Vocabulary. But for the lacking of proper ways, nobody becomes able to enhance English Vocabulary Words. So, now it needs no telling the importance of Vocabulary Words. If you have don’t have enough vocabulary power, all your grammatical knowledge is valueless. So, this is the time for you to gain some vocabulary words to utilize your Knowledge of Grammar. 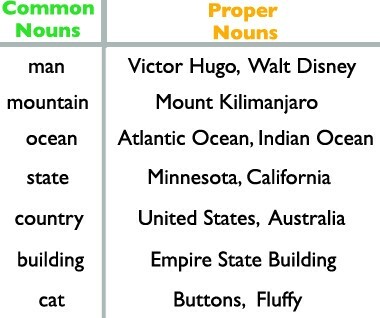 Hopefully, you are here because you want to expand vocabulary words in English. Today in this entire post I am going to teach you how you can expand English Vocabulary words by only reading English Newspaper. English Newspaper is a very interesting item for me. But sometimes, it is not for you. It is because you are afraid of reading an English Newspaper. However, you will read English Newspaper regularly after reading this entire post. Most probably, there is hardly any educated person who doesn’t read the newspaper. I know that you all read the newspaper in your native language. That is okay for you. But don’t you think that English vocabulary words are also important for spoken English? If you think that without vocabulary words you cannot upgrade your English, then please don’t waste your time anymore. In this regard, Newspaper helps a lot. So, without wasting time, let’s start the process. As we know that a newspaper shows our everyday happenings in 8/10 pages. So, all of the UU (Unknown Useful) words are included in it. You just have to find it in a proper way. It is not a difficult task at all. Follow the below methods. At first, take an English Newspaper on your table. But don’t put the Newspaper on your lap. It is a little bit funny. Isn’t? You don't need to think over it anymore. I am telling this because there is a reason behind this saying. Start reading the Newspaper from the beginning even from the date. You have to read every word by word in every page of the newspaper. At first glance, all the words may not seem easy to understand and pronounce at all. Don’t become frustrated at all. Try to find some interesting pages like entertainment page so that you cannot feel boring. If you feel boring in any work, you cannot advance in that way. So, I think you should take an English Magazine or the Entertainment Pages of the Newspaper. It really helps to expand English Vocabulary Words. I hope you will get probably 50/60 Unknown words from a page. Okay, now make a list with those words in a notepad. Remember that you should never use your mobile or computer in this step to note the words. Experts say that writing with pen and paper is longer lasting that writing on multi-media. Now it is the time to bring out the meaning of that listed words. I like this method most because memorizing a dictionary is less effective if you cannot make a sentence with your memorized words. However, write down the meaning of every word side by side. In this step, you can use your computer or mobile easily to bring out the meaning of the words. Try to make a simple sentence with the word keeping the meaning in your brain. You don't need to make a long or very complex sentence at first. You are at the beginner level. So, use the only Subject+Verb+Object. If you only memorize the meaning of a word, you will forget it the following day. But if you make a sentence with the unknown word after knowing the meaning, you will not forget it anymore. Make a revision on the words, meaning and the sentence 3 times. Close your eyes and try to pronounce some words you just memorized if possible. If you cannot do it, you should speak the sentence aloud. These 50 words are obtained in a day from only one page. The next day does the same process to "expand English Vocabulary Words". Our Free English Course Online includes that everybody needs to be very passionate to improve English Vocabulary because it is the backbone of your English Skill. You may get a high degree or title from a reputed institution. But if you don’t have any idea about English Vocabulary words, then you are nothing but a value less person to society. My last suggestion for you that you should make a conversation to yourself in front of your mirror if possible only with the words you just obtained from one page of the English Newspaper. Do it for 1 month and come back to my website to give me a big thank. Thanks for reading. In this free English Course Online, you can improve your English degree which is still existing in your educational institutions. However, by following the above methods you are sure to expand your vocabulary in English. Do you want to know "how to improve spoken English alone"? At first, it may seem hard to understand. But still, you have a chance to practice spoken English without a speaking partner. We know that a speaking partner helps a lot in this purpose. But if you don't have a speaking partner, don't worry. 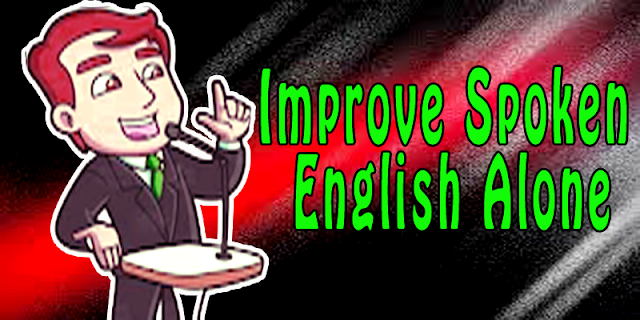 In this post, I am going to discuss some methods by which you can improve your spoken English. This free English Course online helps you to develop a Spoken English degree with our Smart lecture. As a Bangladeshi, I post the tutorials in Bangla language also. So, if you want to read the post you can check the bangla version of our webiste. It will help you to learn and understand it very easily. There are several websites that give you free English course online. But some of the English courses may seem difficult. So, follow the below methods. I am sure that you will be able to speak in English fluently. Let me tell you something important before discussing this method. Suppose, you have a big box in your house. But the box is empty. There is nothing in the box. Now, you put your hand in the box. Will you get anything from the box? The answer is of course " no". Just like this tactic, it is similar. Maybe you know English grammar, you know how to make an English sentence. But what words will you use in that sentence? Suppose, you are told to make an assignment about your company in English. You have a total concept in your native language. But you have no knowledge about vocabulary words. Then you will have nothing to do but to sit idle thinking over the topic. So, learn some vocabulary word in English. You can get vocabulary words from dictionary, newspaper, English movies with subtitle. There is no alternative reading to improve spoken English alone. If you are a shy person, there is no problem. When you read something in English alone, nobody will criticize you. You need to read English magazine alone but loudly in your locked room. Try to read some interesting topics in English magazine. By reading English magazine you can also gain some important vocabulary words. There are lots of English pdf books online. Just download it and start reading the material. English newspaper helps a lot in this regard. If you are a busy person, try to finish one page per day in a week. But you need to know how to read and collect vocabulary words from English Newspaper. The newspaper is a great source of UU (unknown useful) words. I know that you don't have a speaking partner. Or, you have, but they criticize for your broken English. No matter, speak aloud in front of your mirror alone in your room. When you speak alone in front of the mirror, you can get the issues of your body gesture. Then you will get a chance to fix them at the same time. Make a topic yourself and start speaking before a mirror. Don't head over the issues for the first time. And never be frustrated if fails. Try, try and try. Keep in mind that nobody is born with wisdom. In this step, you are required to listen to the experienced persons speaking in English very carefully to improve spoken English alone. At first, don't try to make conversation with them. It will affect your hope of improving spoken English. Just listen to them. You also have to listen to English News Bulletin like BBC news. At first, you will not understand anything. But keep listening. Believe me, I never learned Hindi speaking from anyone. But I can speak in Hindi fluently just because I always watch Hindi movies as well as Hollywood movies. So, here is my suggestion to watch Hollywood and Hindi movies with sub-titles. To improve spoken English you need to justify your voice. To do this you should record your voice withing English Speaking over a recorder. Nowadays, most of the people have a smartphone. You can easily record an audio of your voice and listen to it carefully. Then identify your pronunciation. If you find any problem in that item, fix it in next record. By doing this you can resolve the errors while you try to improve spoken English alone without a speaking partner. By following this method I hope that you will be able to improve spoken English alone without a speaking partner. If you want to make a free conversation with me, contact me on Facebook from the Contact page. Active and Passive Voice Change Grammar For Students - Free English Course Online. 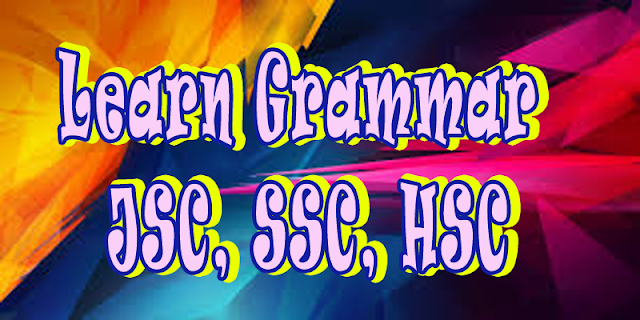 The students of SSC, HSC, JSC can use this grammar for their examination. Active-passive voice change grammar is a hard topic for the students. So, I want to make clear conception about this grammar of active voice and passive voice. Grammar practice on Voice change for the students of JSC, SSC, HSC is very important as we show in Free English course Online. After completing this item you should look for the changing of Degree grammar including positive, comparative, and superlative. I, generally, post all grammars in Bangla language also. So, stick to our website to improve your grammar with our smart lecture. What is a voice in Grammar? Voice is a sentence that may contain a subject, auxiliary verbs, main verbs, object, and extension. Its another name is a simple sentence. 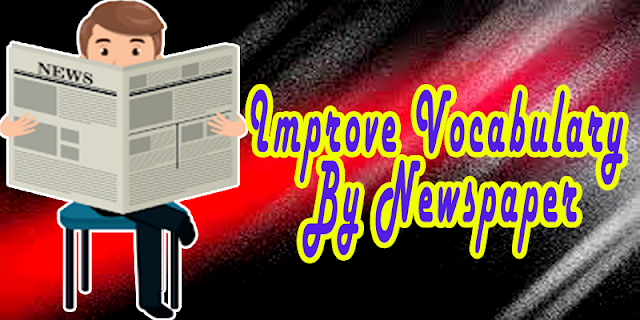 Active Voice - It is a simple sentence which has a subject, the main verb, and an object. To change a voice from active to passive, an object must have been in the active voice. Otherwise, it cannot be done. So, the main verb of an active voice is a finite and transitive verb that means an active verb. Passive Voice - It is a sentence which has some extra elements, unlike an active voice. It has an extra auxiliary verb and an extra preposition 'by'. It gives the same meaning of the active voice but is structured in a different way. A - I like her. P - She is liked by me. You need to follow something here. When you change the object into a subject, you should follow if it is a singular number or plural number. If it is a singular number, use 'is' for present tense and 'was' for past tense. Follow the main verb of active voice to know tense of the sentence. Above sentence has a verb 'like'. It is in the present tense. And the object is a singular number. So, I used "is" as an auxiliary verb. If the object is plural use "are" for present tense and "were" for past tense. Above rules will work if the active voice has a main/principal verb only. But if the active voice has an auxiliary verb, the rules will be different. For all kinds of continuous sentence, you need to use an extra auxiliary verb called "being" in a passive voice. Example: A - They are playing football in the field. P- Football is being played in the field by them. For all kinds of Perfect tenses, you need to use an extra auxiliary called "been". Example: A - They have played Football. P - Football has been played by them. If you notice a modal auxiliary in a sentence you have to use an extra auxiliary verb called "be". Example: A - They can make a Drone. P - A drone can be made by them. Active = We study all subjects every day to make good results. Passive = All subjects are studied every day to make good results by us. Active = We are studying free English Course online on this website. Passive = Free English Course online is being studied in this website by us. Active - He has completed the task in his office with my friends. Passive = The task has been done in his office with my friends by him. Active - She has been cooking the foods for 1 hour. Passive -The foods have been being cooked for 1 hour by her. Active = We studied all subjects every day to make good results. Passive = All subjects were studied every day to make good results by us. Active = We were studying free English Course online on this website. Passive = Free English Course online was being studied in this website by us. Active - He had completed the task in his office with my friends. Passive = The task had been done in his office with my friends by him. Active - She had been cooking the foods for 1 hour. Passive -The foods had been being cooked for 1 hour by her. Active = We will study all subjects every day to make good results. Passive = All subjects will be studied every day to make good results by us. Active = We will be studying free English Course online on this website. Passive = Free English Course online will be being studied in this website by us. Active - He will have completed the task in his office with my friends. Passive = The task will have been done in his office with my friends by him. Active - She will have been cooking the foods for 1 hour. Passive -The foods will have been being cooked for 1 hour by her. In an interrogative sentence, only "who" is transferred into "By whom". The rest rules will be performed according to the rules of above tense. Active: What are you making? Passive: What is being made by you? Active: What has he completed? Passive: What has been completed by him? Active: What did you want? Passive: What was wanted by you? Active: What were you made yesterday? Passive: What was being made by you yesterday? Active: What had you completed? Passive: What had been completed by you? Active: What can you sing for us? Passive: What can be sung by you for us? Active: Who was calling you? Passive: By whom were you being called? Active: Who made this wrong idea? Passive: By whom was this wrong made? To change an Imperative active voice into Passive voice, you must use "Let" at first of the passive sentence whatever the active voice starts with "let" or not. Some examples are given below. Passive: Let the poor be helped (by you). Active: Don't hate the poor. Active: Never criticized the poor people. Passive: Let never the poor people be criticized. When we find a sentence containing a double object, we always use the person as an object. Active: We made him our chairman. Passive: He was made chairman by us. Sometimes, we get some voice grammar question containing a complex sentence. In that sentences, the teachers use "that" as the subordinating conjunction. In that sentence, we should make the whole clause as object. Follow the example. Active: We know that he is a good student. Passive: That he is a good student is known to us. Active: They hope that they will get a good result from this website. Passive: That they will get a good result from this website is hoped by them. To change a passive voice into active voice, you need to omit the extra auxiliary verb and the preposition "by". Migrate the object into a subject and the subject into an object. Passive: The road was constructed by our Government. Active: Our Government constructed the road. Here, you should notice the tense of the omitted auxiliary verb. If it is present tense, you have to use the present form of the main verb. If the auxiliary verb is past tense, you must use past form of the main verb of the Passive voice. Active: My mother called me yesterday to help her in cooking. Passive: I was called to help her in cooking by my mother. Active: Virat was playing cricket against Bangladesh. Passive: Cricket was being Played against Bangladesh by Virat. Active: She tells unnecessary stories in the office without working. Passive: Unnecessary stories are told in the office without working by her. Active: Bangladesh had obtained digitalized nation in 2018. Passive: Digitalized nation in 2018 had been obtained by Bangladesh. Active: She could solve the Rohynga Problem at once. Passive: The Rohynga problem could be solved at once by her. Active: Who can deny the importance of studying from the newspaper? Passive: By whom can the importance of studying from Newspaper be denied. This was all about "active and passive voice change grammar" for students. If you face any problem understanding this grammatical item, feel free to contact me as soon as possible. As we all know that English is the international Language in Bangladesh and India. Reading Skill of English is mandatory if you want to get a minimum position in the class division. 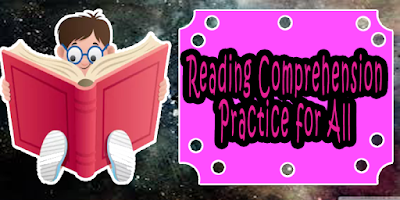 For that reason, today I want to share English reading comprehension for beginners. This beginner reading comprehension will help you to understand the basics of English conversation. Sometimes, you may get some easy reading texts for beginners. But keep in mind that they must be effective for your daily life. Suppose, you want to read a thesis or theory of English Language. You intend to read the texts in the English Language because you believe that it is originally written in England. If you read the translated copy, it may migrate the meaning as well. So, you must be able to read English Comprehension fluently. Otherwise, you will miss the important information about your text. As an example, I can say that I use Wikipedia mostly for historical items. If I search for the texts in my native language Bangla, I will get the information. But that will be less informative. I am Sajol Fuad. I am from Bangladesh. Currently, I am reading English Literature at National University. The name of my college is M.M. College, Jashore. My college is situated in Jashore, Khulna. My hobby is watching television. I like to watch English movie mostly because it helps me to improve my English skills. My parents are illiterate. But they invested their money and time for my education. I want to be an English professor. I have a desire to help the poor students in the future. I like to travel. You can say that traveling is my favorite hobby. Actually, I like to travel to a far place. I have a passion to travel to India because it is a beautiful country. When I have much money I try to visit some historical places in our country. Traveling refreshes our mind and thoughts. English reading test and practice will help you a lot. This two reading comprehension was so easy to read. I wrote this about the practice for beginners. If you want to get any grammatical solution, you can contact me without any hesitation. "English Reading Comprehension" is available in most of the English Website. Like Wikipedia, many other websites give you the priority to read the English essay online. You can stick to that website to get some English Reading Comprehension quickly. So, actually, how to speak in English fluently? - কিভাবে ইংরেজীতে অনর্গল কথা বলা যায়? #১. শব্দভান্ডারঃ যেটাকে ইংরেজীতে আমরা vocabulary বলে থাকি। মনে কর, তুমি একটি নকশার দোকানে কাজ করতে গেছ। তোমাকে কিন্তু একবারে কাঠে নকশা তুলতে দেওয়া হবে না। তোমাকে আগে যন্ত্রপাতির নাম জানতে হবে, সেগুলোর ব্যবহার তোমাকে জানতে হবে। তারপর, একু একটু করে অনুশীলন করতে হবে। এসব করার পরেই তুমি final নকশা করতে পারবা। To speak in English fluently বা ইংরেজীতে অনর্গল কথা বলতে চাইলেও তোমার এমন কিছু যন্ত্রপাতি প্রয়োজন। English Fluency improve করার জন্য সবচেয়ে বেশী প্রয়োজন vocabulary বা word meaning. To improve English vocabulary you should read English Newspaper, magazine, watch English movies and listen to English News Bulletin. আমাদের Free Online English Course এর এটি একটি বাংলা টিওটোরিয়াল। আপনি এই নিবন্ধটি ইংরেজীতেও পড়তে পারেন। Now I think you have known, how to speak in English fluently. And to improve spoken English you can follow the above methods. I hope that you can certainly improve your spoken English. This tip will help you to sharpen your existing degree with our smart lecture. So, please stick to our website as well as our social media links. To improve English listening skill is very much enjoyable if you are able to maintain some basic techniques. You can definitely improve your listening skill in English. But before that, you should realize "Do you really understand an English sentence?" If yes, this post is for you. To improve listening skill in English you must have known some useful vocabulary words. In our Free English course online we provide techniques for improving vocabulary words. you can improve your English vocabulary words with a great degree by using English newspaper and magazine, by watching English movies, etc. At first, you have to watch and listen carefully to the BTV English News Bulletin which is telecast at night. I am saying this because their English pronunciation is very easy to understand. If you watch their English news bulletin for one month only, you can certainly improve your English listening skill as well. After that, you have to watch some cartoon movies. I am saying this because in English cartoon movies the characters speak the English sentence very slowly that is very easy to understand. And last but not least is to watch some English movies. It will be very hard to believe for you about me. Really, I am a Bangladeshi by birth. So, if I want to speak in the Hindi language, I have to learn the basics and advances of the language. But honestly speaking, I am also fluent in the Hindi language besides my English fluency. Not only me but also every person who watches Hindi movies, serials can speak in Hindi fluently. It has become possible only because of our regularity of hearing. At first, I did not understand a single word. But now I understand almost all the sentence used in a movie in the Hindi language. Improving English listening skill is also like the story above. So, keep listening to the easy sentences. And try to pronounce the words very slowly. Then you can understand others speech too. After doing all these, I think you should go for watching the BBC world news. In this news channel, they use not only the American reporter but also the country wise reporter. So, if you follow this news channel, you can hear all the speeches of a different region. 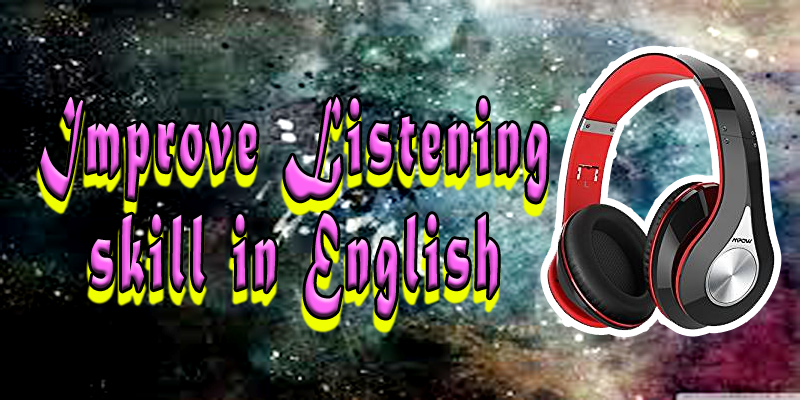 It will certainly help you to improve your listening skill in English. "To improve English writing skill" is a matter of regular practice every day. Improving writing skill in English is very important for the students because they are only persons who have to write all the year round. But it is a matter of regret that they don’t know exactly how to improve English writing skills as well. There is a reason behind this. And it is the idleness of the students. Most often, the students of Math and science group are seen writing their study material. But the students of English don’t even try to write for a regular purpose. And so, they lag behind. However, today I am going to show you the techniques how to write English spontaneously. The students don’t keep the English writing practice. And the result happens in the examination hall. Their hands get pain and they hardly get comfortable while writing in English. But if you don’t feel comfortable in writing English, you are losing your marks probably. There is a very common answer to this question. You should write and write always. But without having some techniques in this respect, you cannot fulfill your English writing strategy. You need to maintain a regular routine to do that. #1: Write every day: You are required to write an everyday basis. Suppose, you are a student of science group, you get a little time to keep your flow of writing in English. It is because of your pressure of study in science group. But I am sure that you waste your 30 minutes out of 24 hours doing nothing. That is the scope for you. You should utilize that time properly. Keep writing something in English as per your interest in English. You should write the most interesting topic because you are not going to learn English writing that is against your mind. It is not a matter to write from your textbook. #2: Follow some texts: You are not told to write from your mind. I think you cannot make a sentence in free hand. So, no words will come out from your mind. It is because you have no experience with vocabulary words. So, it will be very fine for you to follow some texts from your textbook or any English Newspaper. #3: Make a target: Before starting writing something in English, you need to make a target of words from the text. You can select you 30 minutes for writing one page in English. At the beginning level of writing write something very short. Because you don’t want to give pain to your hands at all. #4: Take it easy and enjoyable: Consider this writing practice very enjoyable. If you take is against your mind, you are going to waste your time. Make English writing practice as an art and your hobby as well. After considering it, you will make it fruitful. #5: Handwriting: Keep an eye on your handwriting. And so, I always tell that you should write something very short so that you can keep your eyes on handwriting. Give the sentences and words proper space as well. Try to use some large font. #6: Selecting a pen: A learner must use a flexible pen to improve English writing skill. Some pens give too much ink that damages the paper. And sometimes, your pen may dive into the paper if it is much hard to write. Before starting writing, make a flow of the new pen because new pens write badly at first. Don’t use any GEL pen for practice. #7: Speed: You are not told to speed up your writing at first. You can write speedily after a couple of months. In our childhood, we never could write something fast whatever it was Bengali or English. So, in the beginning, you have to write something in English very slowly. It will also help you understand your handwriting. If you are able to write something from your brain, then I will tell you to write some short sentence according to your daily activities. Suppose, you visit a certain place in your locality. You can write something about your daily activities in that place. Sometimes, someone is seen trying to write a long sentence. But after a few moments, they get tired and give up writing. So, this is my request for you to write some short sentences. If you find the article very useful and handy, please share it with your friends. And if you have some suggestions about my writing, you can contact me in facebook. Or you can comment on your opinion about the post in our group. I will love to write your comment. You are highly encouraged to join our English Coursera writing platform to help the students make better results. 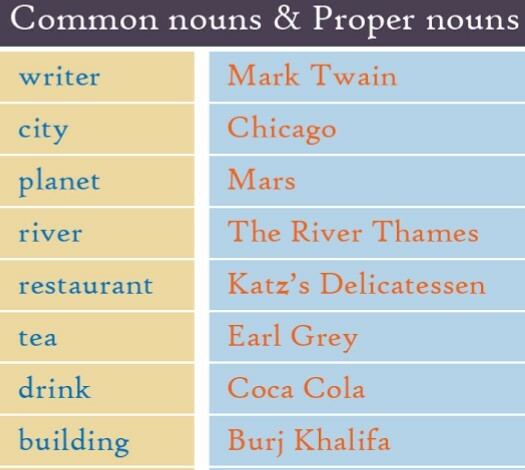 And last, of all, keep following the above techniques to improve English Writing skills. Copyright © 2019 Free English Course Online™ is a registered trademark.